There are a ton of WordPress contact form plugins out there, all with different levels of features, support and pricing. I’m going to eliminate free plugins from this post, simply because the quality of code and support you get for a premium plugin is just hands-down worth it. It’s only fair to start with an assessment of Gravity Forms, which is the most highly visible premium contact form plugin out there. Gravity Forms is solidly built and has a ton of features, but you need to spend $200/year for its most useful version. For some that’s no big deal, but for others it’s a factor. 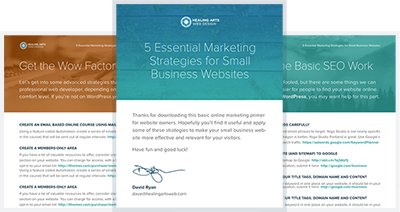 The basic version ($40/year) offers little other than basic forms, and its mid-priced offering ($100/year) adds features like Mailchimp, Aweber, and a captcha add-on. Not terribly exciting. Where it really delivers value is the Developer’s License ($200/year) which gets you a bunch of add-ons ranging from PayPal, Authorize.net and Stripe, to Zapier, signatures and user registration. But again, this is $200 per year we’re talking about which can be a tough sell for some. In fairness, they do offer a renewal discount so it’s not quite as expensive as it sounds. Formidable Pro is similar to Gravity Forms in terms of functionality, but it has a pretty major price difference along with lifetime updates, good support, and the ability to modify its functionality significantly. There is a free version of Formidable Forms, but I don’t recommend it (for one thing the free version doesn’t save form entries to the database). A much better option is paying the $47 for Formidable Pro which gets you lifetime updates. Lifetime updates are pretty rare in the premium WordPress plugin space these days. Usually, like GF, you have to pay a yearly fee. You only get 1 year of support for this price, but you can purchase continuing support for $24/year after the 1st year. If you have more than one WordPress site or are a developer, the unlimited license for $70 more allows you to install the plugin on unlimited websites, still with lifetime updates. You also get Priority Support for the 1st year. This again is a great deal for a premium WordPress plugin. Speaking of support, I’ve personally had great experiences with the small team at Formidable. I’ve received prompt responses, and even extra-mile stuff like custom code examples. After your first year, you can purchase another year of support. Most people won’t need this though. If there is a specific integration that Gravity Forms offers that you need (Stripe and Campaign monitor come to mind), go for it. You won’t regret it. It’s worth the money and their support is supposed to be solid. But, if you can get the job done with Formidable Forms, try it out. Their code is well-documented and easy to work with, and their support is very helpful in suggesting ways to get things done with their plugin. For a ton of people this is a cost-effective and elegant solution. Thanks for the great post! Just so you know, there is a Stripe add-on for Formidable currently in beta written by Naomi Bush. And the free version does save entries, but it doesn’t display them, but this may be changing in version 2.0, but we haven’t decided yet. Thanks again! Thanks for the clarification and good to know there is a stripe option out there. You and your team have always been so helpful in the forums so I had to share! I install Formidable Pro in almost every site I build these days. It’s great for everything from a basic contact form to very complex logic systems. I purchased the developer version and I review support annually. Worth every penny, and much more. Same here. I think it’s pretty underrated and really good value. I meant to say I RENEW support annually, ha ha. The staff is extremely helpful in solving problems, whether it’s how to use it as stock code or even how to modify the code.